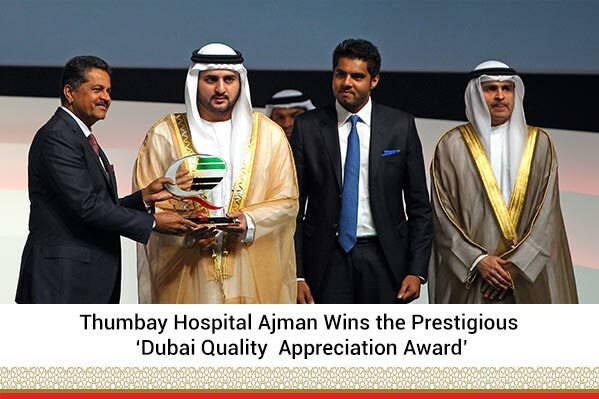 Thumbay Hospital – Ajman, one of the leading academic hospitals and part of Gulf Medical University’s teaching facilities under Thumbay Group has won the prestigious Dubai Quality Appreciation Award (DQAA). 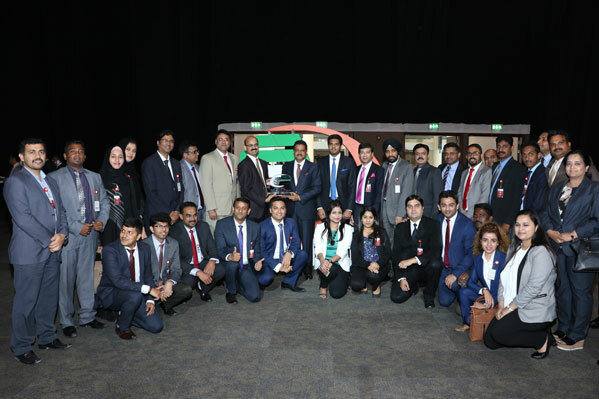 The award was received from His Highness Sheikh Maktoum bin Mohammed bin Rashid Al Maktoum, the Deputy Ruler of Dubai by Mr. Thumbay Moideen, Founder President of Thumbay Group at the 22nd Business Excellence Awards ceremony held at the Dubai World Trade Centre on Tuesday, 3rd May 2016. After receiving the Dubai Quality Appreciation Award, Mr. Thumbay Moideen said that he was happy to receive the prestigious award from His Highness Sheikh Maktoum bin Mohammed bin Rashid Al Maktoum. “We are proud to be bestowed with this coveted recognition, and it is a wonderful feeling knowing that our commitment to quality and patient satisfaction have been acknowledged. Moreover, the award reassures us that our initiatives are being channeled in the right direction. This will definitely motivate us in our continued quest for further improving our service standards,” he said. Mr. Akbar Moideen Thumbay, Vice President of the Healthcare Division of Thumbay Group said that the award was a great achievement. “It has been an incredible journey for the team, to winning this award. We have demonstrated our excellence yet again. We take this opportunity to reaffirm our determination to continue delivering the best world-class healthcare services,” he added. Part of the largest network of academic hospitals in the region, Thumbay Hospital, Ajman had also won the internationally acclaimed JCI (Joint Commission International) accreditation in 2013, becoming the first hospital in Ajman to achieve the same. The same year, it was also recognized as the ‘Best Medical Tourism Provider in the Middle East’ by The New Economy – one of the leading publications in the United Kingdom.